The religious climate which Ivan came into, beginning with his encounter with Fr. Filaret, is best understood by looking a generation earlier at the life of St. Paisius Velichkovsky. In so doing we will see the type of life that Ivan participated in and the significance of the role he played for future generations. We bought… the above-mentioned books written in the Slavonic language and regarded them as a heavenly treasure given to us freely by God. But when I had read them for a number of years with diligence, I found in very many places in them an impenetrable obscurity, and in many places I did not find even any grammatical sense, even though I read them many times with extreme labor and testing. God alone knows with what sorrow my soul was filled; and being uncertain what to do, I thought that it might be possible to correct the Slavonic books of the Fathers at least a little by comparing them with other Slavonic books. And I began to copy out with my own hand the books of St. Hesychius, Presbyter of Jerusalem, and St. Philotheus the Sinaite, and St. Theodore of Edessa, from four copies, so that at least by bringing together something from each of the four copies I might be able to see in them the grammatical sense. But all this labor of mine was in vain; for not even in those books compiled from four copies was I able to see the complete sense of them. Then for six weeks day and night I corrected my book of St. Isaac the Syrian from another copy of it, believing the assertion of one person that the copy corresponded in all respects to the Greek text; but this labor of mine also was in vain, for in time I came to understand that I had ruined my better copy from a worse one. Not only were few works available and in an incoherent state, but in many places people had never even heard of these authors. Unable to find an outlet for his work following the repression of his journal, Ivan continued to meet with his closest friends discussing the West and Russia’s past, present and future. In 1839 we see a further development of Ivan’s ideas in his discussions with Alexei Khomiakov. He was acquainted with Alexei in the mid- 1820’s and became closer to him from 1833 on. 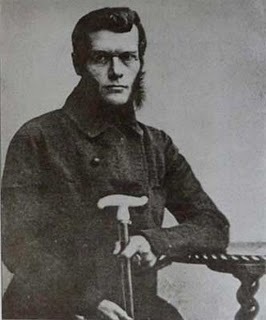 In 1839, an article written by Kireyevsky was an essay entitled, “In Answer to Khomiakov.” “It was subsequently circulated in manuscript and created considerable stir in Moscow literary and social circles.”18 This essay regarding the development of European society, including its causes reveals that his views had matured since his writing The Nineteenth Century. We may note here that in the time between these two articles being written (1836 and 1839) Ivan’s view of the differing “Christianities” is becoming apparent. He begins to describe more the deviation from traditional Christianity in the West that followed the Schism. He will further elaborate on this point later in life. There were to be only three issues of The Muscovite under Ivan’s guidance after which he retired back to Dolbino due to ill health. 1 Blessed Paisius Velichkovsky: The Life and Ascetic Labors of Our Father, Elder Paisius, Archimandrite of the Holy Moldavian Monasteries of Niamets and Sekoul. 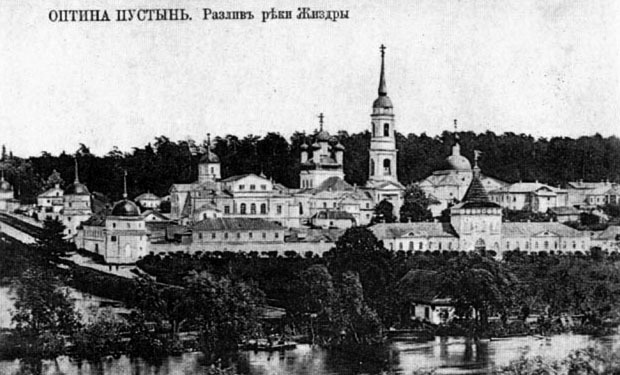 Optina Version. By Schema-monk Metrophanes, trans. Saint Herman of Alaska Brotherhood. (Platina: Saint Herman of Alaska Brotherhood, 1976), 78-81. Twenty years after Paisius’ repose his biography was written, though not finished, by monk Mytrofan. In this biography, he too details “these wretched and terrible times when monasticism had degenerated to the last and was visible only in outward from.” He further describes how Paisius was alone in his endeavors with no human instructor, only the grace of God. see “The Life of Paisij Velyckovs’kyj,” trans. by J.M.E. Featherstone in Harvard Library of Early Ukranian Literature. (Cambridge: Harvard University Press, 1989), 4:146-147. 3 Fr. 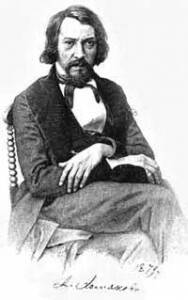 Sergius Chetverikov. 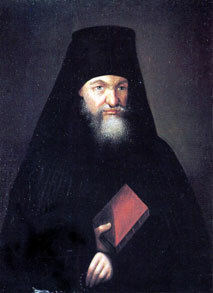 Elder Ambrose of Optina. (Platina: St. Herman of Alaska Brotherhood, 1997), 126. 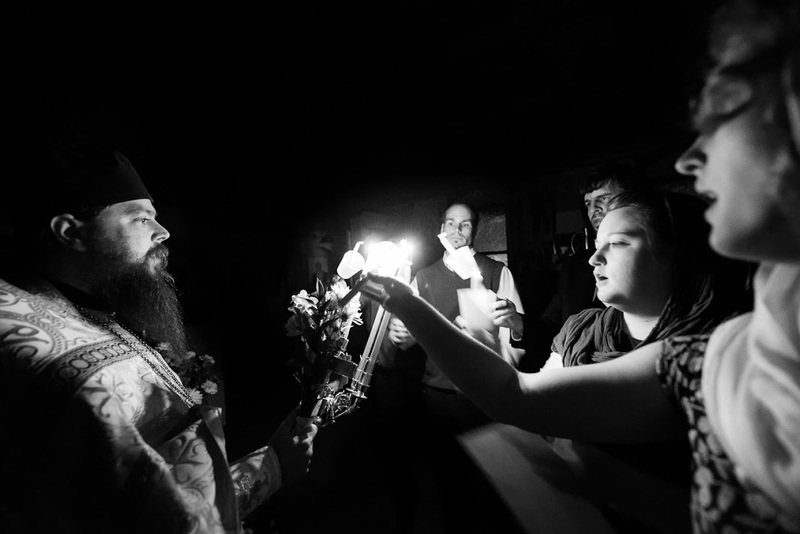 See also, Bishop Seraphim Joanta, Romania: Its Hesychast Tradition and Culture. (Wildwood: St. Xenia Skete, 1992), 143-151. 5 “The Life of Paisij Velyckovs’kyj,” 4: xiii, note 1. 6 Blessed Paisius Velichkovsky, 92. 8 Blessed Paisius Velichkovsky, 96. 10 Ivan Kontzevitch, “The Life of Elder Macarius’ Disciple, Ivan Kireyevsky,” in Elder Macarius of Optina. (Platina: St. Herman of Alaska Brotherhood, 1995), 295. 11 Georges Florovsky, Ways of Russian Theology: Part II. (Belmont: Buchervertriebsanstalt, 1987), 26. 12 Kontzevitch says that Ivan was never an “unbeliever” noting that Ivan wrote to his sister in the 1880’s encouraging her to read the Gospels. The Life of Elder Macarius’ Disciple, Ivan V. Kireyevsky, 294. 13 Masaryk and Lazareva both date this reading of the Fathers at 1936; see, Tomáš Garrigue Masaryk, The Spirit of Russia: Studies in History, Literature and Philosophy, 2 vols., Eden and Cedar Paul, trans. (London: Allen & Unwin, 1919), 241 and Lazareva, “Zhizneopisanie” [“Biography”], introduction to I.V. Kireyevsky, Razum na puti k Istine [Reason on the Path to Truth]. ( Moscow: “Pravilo very,” 2002), XXXVI. 14 Abbott Gleason, European and Muscovite: Ivan Kireevsky and the Origins of Slavophilism. (Cambridge: Harvard University Press, 1972), 144. 17 “[Khomiakov] was said to have discussed the works of St. Athanasius the Great, St. John Chrysostom, and St. Cyril of Jerusalem for hours with Kireevsky,” Archimandrite Luke (Murianka), “Aleksei Khomiakov: A Study of the Interplay of Piety and Theology”: 32, at http://www.jordanville.org/files/Articles/A_Study_of_the_Interplay_of_Piety_and_Theology.pdf, accessed on February 25, 2013. 18 European and Muscovite, 156. 22 Ibid, quoted from Kireyevsky’s Collected Works. 24 European and Muscovite, 189. 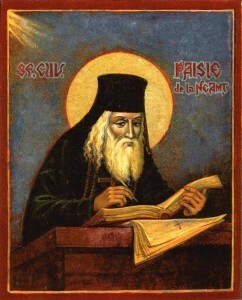 26 Elder Ambrose of Optina, 126-127. 27 From Barsukov’s, Zhizn’ Pogodina, VIII, 487, as noted in European and Muscovite, 223. 29 “The Life of Elder Macarius’ Disciple, Ivan Kireyevsky,” 297. 31 Elder Ambrose of Optina, 125. Love every man in spite of his falling into sin. Never mind the sins, but remember that the foundation of the man is the same – the image of God.